Hi, my name is Allen and I'd love to help you become more confident and succeed in math. I currently serve as Director of the Math Center at UHCL, and helping students succeed in mathematics is my strongest skill. I have a Master's and a degree in Mathematics from Kent State University. 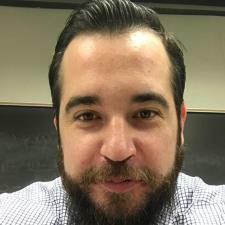 I’ve worked as a math instructor at Kent State, Michigan State, and University of Houston for a combined total of eight years, and I currently serve as director of a math tutoring center. I have ten years of private tutoring experience, and seven years experience teaching at the university level. I’m quite patient, and skilled in making math accessible to all students. I’d be happy to help you succeed with your academic goals. I have taught discrete mathematics at the college level, and excelled at the subject in my undergraduate years.